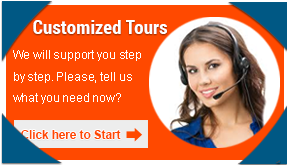 When you are ok with our pre-designed or customized Vietnam tours or booking travel services with us, please,kindly make a payment to our secured online payment.We are available on 4 following methods of payment: Credit cards ( Master card, credit card), bank transfer, Western Union and Paypal. Sign up for a user with Western Union, send the deposit to us. Note: sending money online is available only in some countries. If not available, please find an agent near to you to send money.Payment fees are paid by your party ! You also do your deposit or full payment to our paypal account.We will send you the payment invoice by paypal to your email. 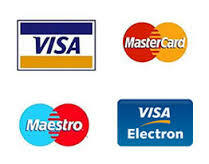 You can do your payment to us by paypal invoice (at the site :http://www.paypal.com) to our paypal account by your paypal account ( if you have one) or by your credit cards ( Visa Card or Master Card). The payment fees are paid by your party. If you transfer money from a USD account opened outside the U.S, add 3.9% + USD $ 0.3 as Paypal fee to your total. The balance of the tour value (70%) is due upon your arrival in Vietnam.Cash is preferred to reduce any processing fees that may affect your cost. A tour price of 75% of full paying adult will be charged for one child from 4 to 10 years old when accompanied by at least two full paying adults and stays in the same room. An extra bed is provided without any payment. There will be charged 75% if any usage of airfare on tour. Children at the age of eleven or older will be charged as an adult.